In a recent discussion, a person of the name of Ron mentioned about appreciating the natural energy flows around us. Ron brought up the question about, "But does all this really matter?" This question was in relation to being appreciative or not of the various different natural energy flows or footprints around us. Ron of course thought it matters and of course I concurred. Acknowledgment is one thing; appreciation of what is being acknowledged is another thing. I think this is simular to being aware or knowledgeable while being wise to know how to use this awareness or knowledge. How far and in what direction can we take our acknowledgment of the natural energy flows around us if we don't appreciate them? To me, this is the same as, what direction has our present knowledge void of wisdom has taken us? Ron is quite correct in my mind, an appreciation of our acknowledgment goes a long way and yes, it does matter as it makes a huge different to our journey. As wisdom is important in guiding our awareness and knowledge, so is appreciation of guiding what we acknowledge, the appreciation of the natural energy flows or footprints surrounding us, not just acknowledgement void of appreciation. Take away wisdom from awareness and knowledge, what do you have? Something that is unguided. Take away appreciation of our acknowledgment of the natural energy flows around us, what are you left with? Something that is unguided, an energy flow of extremes expressions void of balance and moderation. What again are we presently experiencing? The destruction of what we acknowledge but don't appreciate, mother Earth it but one of many of these unappreciated energy flows. The following is my discussion with Ron if interested. "Crystalline Consciousness: A lot of people's egos might laugh at this but we are connected to our physical environment more than most of us are aware of. It's by no mistake that we are attracted to certain crystals or minerals that other people aren't attracted to. In saying this, we can also be attracted to certain elements because that is what we need at the time to give us balance." Great truth in this paragraph, especially our vibrational or energetic connection with our natural world. Leaving aside the ego for a minute. Think we see things as solid because we are looking at them from a 3 dimensional point of view. 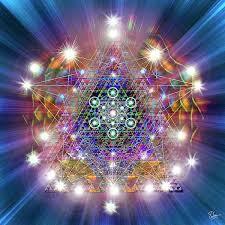 As we expand our consciousness or awareness allowing our DNA to change and be upgraded. The body in which we live may begin to change into an energetic or crystalline physiology or form. Feel we may well then see everything as physics is now beginning to appreciate. In an energetic or vibrational point of view. Ah, this figures from you Ron as you also seem to believe that we, if we want that is, can or will evolve into a crystalline life force physiologically and consciously. I think it's the consciousness that defines our vibrations and subsequent form/physiology. Of course how aware a consciousness is has everything to do with this, maybe the less aware the consciousness, the more dense the matter. I have the funny feeling the people who comprehend this, come from some kind of life force like this before experiencing a denser form of existence. Interesting feeling that you have. 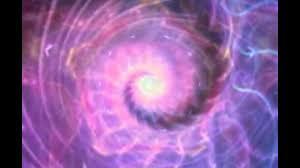 The impression of remembering the vibration or energy we exuded in a previous time, so to speak. 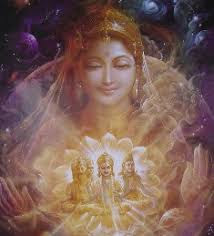 Being blessed with Mother Kundalini. Personally feel she contributes and may even dictate this body's vibrational footprint. What matters is our appreciation of the vibrational message or energy we feel from ourselves and surrounding us in nature. It is the shared energy in this Oneness as opposed to being separate, which to this heart, is so special. Indeed Ron, very well articulated and a very good point. It certainly matter if we have an awareness and an appreciation, if we don't, we create realities like we are experiencing at present in my mind. How many of us at present are truly aware and appreciative of this kind of energy flow? I think what you have stated here needs to be shares around Ron, if you don't mind, I would like to insert our discussion here in a post on my blog. I look at this way Ron, I am a guest to the present energy flow, I have no right to try to change this energy flow as a guest, however, I do have a right as a guest to be influential upon the energy flow of the host. The host being an energy flow of a controlling ego, our present existing reality. My error, I thought I was going to be channelled in relation to this topic I know very little about. Within my own quietness recently, a vision of a crystalline conscious reality vividly appears, I also feel I am apart of this crystalline consciousness as many people of today seem to be. Usually when I experience vivid visions/insights like this I'm channelled, oddly enough not this time around. Anyway, here I go. As science is finding out, what is perceived to be of solid form is in actuality not as solid as we perceive, this also includes crystals. This of course doesn't mean that everything perceived as solid is an illusion; all it means is that there is more to solid form than we first perceived. A lot of us are becoming aware that there is more to us than what we were conditioned to perceive, this doesn't or shouldn't make everything that we were conditioned to perceive an illusion as in fake. What we were conditioned to perceive was simply not the whole truth, only part of the truth. As the ego always tries to do, there is only one answer to everything question, meaning, there is only one absolute, one true alternative when in actuality there can be numerous answers to a singular question, numerous true alternatives completely void of limitations. Everything of solid mass and is associated with solid mass is now suppose to be an illusion; this of course includes anything that is of solid crystalline form!! Often when a consciousness finds out it's more than it was lead to believe, that everything it was lead to believe in the first place is an illusion. Part of a truth perceived is not a true illusion, only an illusion that it was not of the whole truth. What I find strange is that numerous ideologies throughout the ages presented various perceptions that we are more than of solid mass. At no time, except through general science and atheistic ideological views, were we not informed, to one degree or another, of being more than of solid form/mass. You will find that most of us still believed we were only or primarily of solid form, this is why we now perceive that everything of solid mass is an illusion, including crystals. Going beyond the perceptions of the ego doesn't mean that everything that the ego perceived was an illusion, in saying this, the more control the ego has over us, the less of the truth we become!! An ego; in control naturally expands or contracts the truth, making the truth only part of the whole truth. In expanding the truth, the ego now perceives an ultimate state or reality of one kind or another and that everything else is an illusion. In contracting the truth, the ego states this is all we are, solid mass/form or we are only truly of some kind of ultimate being or state. As of everything of solid form, crystals are a representation or an abstract expression of it's non-physical state, a state of pure consciousness void of mass or form. Consciousness itself is vibrational; it's simply vibrations created from various frequencies that make up a certain vibrational signature, this is why there are so many different kinds of consciousness's, they all, as crystals are from iron ore or emeralds, have their own unique vibrational signature, there own unique type of consciousness. The reason why people look different and act different is due to their own unique vibrational signature, there own unique consciousness. Each crystal also has it's own unique vibrational signature as we do, this is why we resonate with certain crystals or elements of a particular mineral. Why are the wealthy attracted to diamonds, gold and platinum, and people like me are not? It's basically to do with the ego that creates the consciousness we experience and express, it creates a certain signature that only resonates with certain elements, certain vibrational signatures. I personally have an attraction to silver at present, which probably means my consciousness is inline or in tune with the elements of silver. Crystalline Consciousness: A lot of people's egos might laugh at this but we are connected to our physical environment more than most of us are aware of. It's by no mistake that we are attracted to certain crystals or minerals that other people aren't attracted to. In saying this, we can also be attracted to certain elements because that is what we need at the time to give us balance. It would seem that within our reality, gold, diamonds and platinum, represents a certain type of consciousness/ego that seems materialistic, so what type of consciousness/ego do crystals represent? My visions of this kind of crystalline consciousness refers to a well balanced moderated existence of all energies, basically, all energies are seen and acted upon as equal to all other energies. This kind of consciousness also seems to be of a different kind of ego, an ego that isn't in control or being controlled. It would seem at no point is the ego being controlled or controlling, in actuality, this kind of consciousness seems to be void of any kind of control at all, there is simply no need or capability of one controlling the other. Imagine being in a reality where you can't control anything but you are also not being controlled, there is simply no perception of control, it just doesn't exist. It will of course be very difficult for a controlling ego to imagine this; it's simply incapable of doing so. Even if the controlling ego could imagine this, it wouldn't desire to imagine a reality/consciousness like this. The ego exists only because of the perceptions of control, either it being controlled and/or controlling, it's always in fear of becoming non-existent. We are conditioned to perceive crystals as a solid mass, to me; this detracts away to what crystals truly represent, a well balanced moderated consciousness that can be expressed or represented in solid form/mass like with everything of consciousness. Consciousness simply represents motion of one kind or another, one kind of ego or another. I came across a couple of videos below that only a certain consciousness will resonate with, please enjoy. I thought this was something else I wrote and wasn't going to post, instead it seems I was waiting for the second part of this post to materialise. The second part to this post is titled Crystalline Consciousness, a consciousness of the energy of crystal void of physical properties. In this state of non-physicality, the energy of crystals is much greater. As of everything physical, crystals owe their existence to non-physical factors or influences. The sun is one of the biggest controlling factors within our solar system, it's also one of the most destructive and violent, far more violent than all the humans at present as a collective could express. Of course if our own reality is negative, how negative would this make the sun? Compared to whatever humans can do while influenced by a controlling ego, the sun would have to be totally demonic but it's not. This is but another reason why I try to stay away from the perceptions of negative and positive. We are guests, not just to the ego but to the controlling ego, of course an ego in control could never see it like this for this kind of awareness would greatly diminish the egos control over us. As I previously wrote in a post, "It is wise to remember that we are guests in a controlling egos reality, always have been, however, what lies beneath these factors is utter bliss. The problem lies within the control of the ego itself, it simply negates this bliss for the sake of control over and above this bliss, for within this bliss there is no control, only being." A controlling ego, like the sun or even our spouse/family members, take away bliss that is infinite in nature and replaces it with another kind of bliss that the ego is able to control at will. Of course not everyone under this kind of control will experience bliss but to one extent or another many people will. Of course as history shows, this kind of bliss is finite in nature; it simply doesn't last or is lasting as of everything controlled by a controlling ego. How long does a love for a family member or a spouse last when they become totally controlling? This is the ego in control so what is ego void of control? I wrote a while ago about an insight depicting a crystalline sun instead of a gas ball sun, basically a sun of pure crystal. A sun of crystal is infinite in nature; it is able to exist eternally, however, instead of the sun controlling everything it influences, crystalline suns are influenced by the inhabitants that exist under, or more precisely with, this kind of sun. In actuality, crystalline energy sources are not suns but are still able to sustain biological life, in actuality, because they are completely stable and in balance with all within it's influence, it is able to sustained biological life a lot more securely. Take away an insecurity, you take away a fear!! The ego in control will of course categorically state that a crystal like energy sources supporting biological life forms could never exist, or anything else that is not controlling/dominating, you know why? A crystalline energy source like this isn't in control, the biological life that is influenced and supported by this kind of energy source is. Actually, there is no real control, only a cohabitation of equal value, a reality based on balance instead of an imbalance. This is the last thing a controlling ego wants and especially needs to know or exist as a controlling factor. It would seem if we take away the controlling factors of the ego, the ego would be non-existent, this simply isn't the case but can be the case. If you take away the control of the ego, what you are left with is ego void of it's control. When we are able to be influential void of the ego being in control, this is balance due to a cohabitation of equal value of energy sources. One reliant on the other to exist, not one in total reliance on the other like in fear of the other of their control over us, but a coexistence free of fear altogether. I honestly believe we could influence the sun to become crystalline, of course I believe this would take us to take our consciousness into a totally different dimension that isn't controlling, dominant or destructive in any sense. Can we be expressive of an ego that isn't in control or being controlled? In my mind absolutely, however, for a mind that is controlled by the ego, never, this of course is but one of numerous limitations of the ego mind in control. I thought I would end this post by inserting a few relevant responses to other people by me in relation to this topic. Look at it this way. The sun is controlling as everything of the ego is, so in a real sense, the ego has always had control in realities like this one. Humanly, indeed, the ego hasn't always been in control by the controlling ego in a human sense. I think realities like this one, the universe as a whole, is conducive to a controlling ego, not just ego. Are there realities that are just of the ego void of a controlling ego? I believe so. I think anything controlling and/or desiring is of the ego. Our sun is controlling, this is ego so everything within this control is also ego otherwise I doubt it could exist within this kind of reality. I think the purpose of ego is creation for all of creation is ego. It's like an expression or motion of something that is motionless, Buddhism calls this motionless state pure awareness. 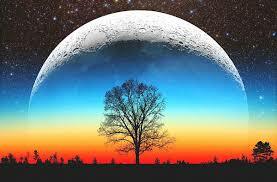 All of creation is simply the motion side of motionlessness, the yin to the yang if you like. Is everything of creation not truly of solid mass? While this pure awareness is being expressed as motion, it is, when being simply being of pure awareness it's not. The ego as always needs to force a singular or ultimate answer when there isn't one in my mind, consciousness as a whole isn't this limited. A wise interrogation, is the ego related to our memory loss? Ego is motion for without motion the ego isn't able to exist, for example, as we quieten the mind, we experience less ego for there is less motion. Basically, instead of focusing on the quietness, we focus on motion which creates ego, the more motion expressed, the more egoistic we become, our present reality shows this. Because we are focused on motion, we forget what we are, we become the participator instead of the observer, in the process of participating forgetting what we are. It is wise to remember that we are guests in a controlling egos reality, always have been, however, what lies beneath these factors is utter bliss. The problem lies within the control of the ego itself, it simply negates this bliss for the sake of control over and above this bliss, for within this bliss there is no control, only being. For only the aware will desist in their destructive ways, all else will continue with being destructive, albeit in a different way, a way that makes us feel even more right while being destructive. As light is destructive to dark, positive to negative, the feminine to the masculine, yin to yang in this case, only that of what the ego desires will survive......in an ego controlled reality. Pure awareness; is a state that is motionless, a state that needs no further motion to become aware, for all motion is of ego. Think on this, why have motion when in a pure aware state? Motion simply depicts a state that is unaware, for all motion is of an unaware state and all motionlessness is of an aware state. The more aware we become void of a controlling ego, the more of this pure motionlessness we become, however, at no time can we become of this pure awareness while of the ego in any sense, all we can do is become aware of this pure state. It is quite understandable why in Buddhism this state is also referred to as nothingness; there is no motion in this state, there is simply no need of motion. Other ideologies of course have their own explanations for this state. Pure ego; is a state of excessive motions, you could say this state is the yang to the yin, the yin being of pure awareness or visa-versa. The more of this pure ego we become, the more controlled and controlling we become. Think on this, why would a state of pure awareness desire or even need to control anything? This state of pure ego is of an excessive while at the same time excluding all else, for example, this state being of all light with no darkness, all positive with no negatives or all materialism with no spiritualty or abstemiousness. It's basically a state of extremes, of course if this state sounds familiar; it's for a very good reason, we are simply becoming more and more of this pure ego. Yes, the ego has made many of us believe that we are becoming more of this pure awareness, even while all the signs state otherwise like all the expressions of extremism, for example, being expressed in the world today. All motions or expressions of extremism depict a state of consciousness that is more of pure ego than pure awareness. Spirituality: Until quite recently I didn't get why spirituality today is more of pure ego than pure awareness. All negatives are avoided and/or ignored or shunned and how many people desire to become totally spiritual or of this pure awareness and so on and so on it goes? The desire to become of one or the other, pure awareness or pure ego, depicts extremism. No person who is truly aware of this pure aware state desires to become of this state; the awareness within itself is all that is needed. In actuality there is no state; it's simply awareness that can be used to balance out excessive motions, a controlling ego, or not. This pure awareness simply becomes a state so that the ego is able to comprehend pure awareness and fair enough too, it's basically using the ego against itself by taking away the controlling ways of the ego. Realities: As of the universe, all realities are created from ego as it's all of motion. Now the type of reality that can be created can range from pure ego states of love and light (positive) to pure ego states of hate and dark (negative), of course what is positive or negative to one isn't to another and visa-versa. Realities are simply created by the exclusion of what is undesirable, for example, multinationals exclude negatives within their realities like being financially poor or the inability to control. On the other hand, spiritually aware people exclude negatives like being negative and of anything that is deemed dark by them, however, not all realities are created from excluding one from the other. The ego in control simply desires an ultimate state, as of all deemed ultimate states, they exclude one or the other, basically, the exclusion of what isn't desired. This simply means the exclusion of yin from the yang or visa-versa. I find this funny when the ego still judges these kinds of states as being of oneness; the controlling ego certainly deludes us. 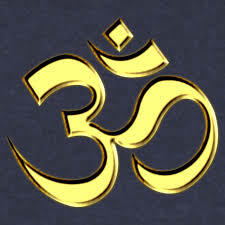 Yes, these ultimate states are of oneness but only of the oneness we desire to be apart of, everything else is excluded. However, as I stated before, not all realities are of the exclusion of one or the other, the yin from the yang. If everything of this reality was in perfect balance between each other, meaning, if yin and yang were in perfect balance between each other, a state of bliss would reside within the reality. Within this state of no exclusions, there would be no desire of an ultimate reality because a pure state of balance would reside. As there are states of pure awareness and pure ego, there are states of pure balance which create realties of pure bliss. There is simply no desires of an ultimate state within realities that don't exclude one from the other but have everything working in unison, basically, one not trying to control or dominate or destroy the other. We simply don't need, as opposed to desire, to exclude anything to reach a state of pure bliss; all we need to do is become aware of the controlling ego and this state of pure awareness. Of course once we become aware of the ways of a controlling ego, we naturally become aware of this pure awareness. Pure bliss for all is all to do with being aware instead of unaware while under the control of the ego. Ego simply denotes an unaware state that an aware state of being doesn't want to exclude but simply needs to quell when out of control; this is where wisdom comes into it. Wisdom simply gives us an awareness of an out of control ego and the awareness of how to quell this kind of out of control state of existence. The ego is simply unable to comprehend a true state of awareness for the ego is unable to cope with this kind of awareness. The inability to comprehend is all to do with self-preservation of the ego, what the ego doesn't understand or desire, it will denounce or exclude from it's own awareness. This is natural for the ego to do in a self-preservation mode. An ego in control will also perceive an ultimate state of existence, an existence that can be created, such as our present existence. To a lot of multinationals/materialists, the present reality is an ultimate reality for them. For a lot of spiritually aware people it's love and light or this state of pure awareness or being one with God. The ultimate reality is simply governed by the type of control used by the ego, basically, what the ego excludes to create ultimate realities that are imbalanced. What is an ultimate reality for one kind of controlling ego isn't for another, this is why pure ego states don't even like to comprehend or are able to comprehend a true balanced state of existence. Even a true balanced state of existence isn't an ultimate reality; it's simply just another form of reality that doesn't exclude one over and above the other. A state of neutrality created, not by force or destroying as in light over dark, but by the invalidation of all opposing forces, a state where extreme expressions are simply unable to exist. Is a reality created from love and light not also of the invalidation of hate and dark? No, a reality of love and light is an exclusion of hate and dark, not an invalidation where hate and dark can't exist. How many people of love and light despise (hate) being of anything negative or dark? Also, light is destructive to dark, not a culmination of light and dark working in unison. In a true balanced existence, all works as one for the good of all as a whole without exclusions, a true sense of oneness brought about by being equally of pure awareness as of pure ego. Simply become truthfully aware void of the deception of a controlling ego, of course as always, this isn't for everyone. Mother's, I need your assistance please. Do the children make the mother a mother? Considering a child isn't a child without a mother, is it not the child who makes a mother a mother? Also, is not a mother only a mother when of a child? 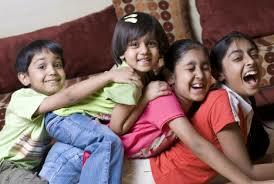 Without a child, is not a person only of a person when not of a child, meaning, not influenced by a child maternally? The reason I query this has to do with how numerous spiritually aware people put themselves first and foremost. For example, it's about themselves feeling good over and above other people who are suppose to be less aware like a child is. It's funny to think, but it's the less aware child that makes a mother a mother, and of course, the child always comes first for the mother, especially above any personal feel good sensations!! Note: If any mother's replies to this, it is likely I will insert their reply in one of my posts for my blog unless otherwise stipulated. Also, names will be excluded unless otherwise stipulated. What is one of the major mistakes of churches? The church comes first and then the hierarchy and then God and maybe the people of the church. What is a church without it's people? Like a mother, a church is not a church without it's people like a mother is not a mother without a child. Maternally, the unaware child comes first. Now what is occurring in Westernised spirituality today? The mother or the church is still coming first and foremost. The church in this case being ones own personal well being and pleasure/desire. As long as the mother/church is well and feeling good, this will automatically pass onto the child. Of course in this case the child would be lucky to come second, most often other hierarchy of the same awareness level comes second, where does this leave the child that makes the mother/the church? So what is the aware without the unaware as what is the church without it's people or a mother without a child? As of the true spiritually aware, the unaware comes first, look at people like myself who really put themselves out there because it's not about ourselves and our own well being. It's almost maternal if not maternal, the child comes first. As within myself, my child, my unaware state, comes first for it needs to be nurtured, not put on a list that it comes second best to all else, particularly in relation to my desires and feel good sensations. Yes, people like me could just sit within our feel good desired states and ignore all these deemed negatives, dark and toxic energies but we don't, for the children come first and foremost. The child simply represents an unaware state that needs to be nurtured, mothered, for the mother is not a mother without it's children. What is the yin without the yang? Basically, what is the aware self without unaware self? Would we judge our children as toxic or negative and then ignore them because of these judged vibrations? Of course this occurs in certain situations when the maternal mothering instinct isn't present. We are supposed to be one; there is simply no oneness without maternal mothering instincts. Ignoring the child, the people of a church, the unaware self, because we have judged it so in accordance with our own personal level of hierarchy, is not oneness or maternally mothering, it's simply a depiction of an ego in control. Too many spiritual teachings these days teach to put the self first and foremost, it all starts from you when it's the children that make the mother a mother. We spend all the money and time on our personal selves, when all we need to do is simply put the children first above our own desires and feeling of self-gratifications. If we spend all this time and money on ourselves to feel good, this has to benefit the rest of the world in the long run as this will flow on. Of course while we are doing this, we are neglecting the children by judging them toxic, negative, bad, dark, and on and on it goes. Yes indeed, what many spiritually aware people have expressed has been passed on; the world at present represents this. Yes, without the mother a child can't be a child, so the mother must also be mothered by these same motherly instincts, but at no point should the mother be put above all else but this is exactly what is occurring in spirituality today to a large extent. Only a perfect balance between the child self and the motherly self can true peace and love reside. Neglecting one over and above the other will create anything but peace and love, only a falsified and fabricated peace and love. One is infinite, the other finite, we are both and not of one or the other as we are the child and the mother, the church and the people, the aware and unaware. People like me are simply aware that we are just as much of the aware as the unaware, the child and the mother without neglecting one over and above the other. Did people like Buddha face their own ego or the ego as a whole, as one entity? Do not the children of a mother naturally quell the ego within the mother? Focusing all this energy on the self to feel good while at the same time avoiding what is deemed as toxic/negative is pure ego. No, it doesn't start from the self, the (I); it starts from the collective as a whole, as people like Buddha eventually find out. As not all mothers controlling egos will be quelled, not everyone will be able to face the controlling ego face on without acceptation; the ego has simply too much control, it is wise to be aware of this in my mind. If you are interested, the following replies to my request from mothers are as follow. The mother in all of us has a lot to teach as the child has to learn, but are we willing or ready to listen to child as yet, basically, learning from and through the unaware, something a lot of us critically judge?? Mathew....I found the Divine Mother Within.... there is the perfect vibration of mothering within us all.... and I think when that Vibration becomes or is Remembered then One would act in accordance with exactly how Devine Mother would act... there is no room then for egotistical actions... Thank you for asking! !....btw....I have Mothered 13 kids in this life time. Hey so here's my answer.... If so....my answer is this. Spiritually awakened people realize that their children come through them not to them. The spiritually awakened person knows the child has a closer connection to source because of their innocence and lack of cognitive dissonance. The spiritually awakened person knows they are here to guide and also learn from their children. Understanding that there is no right or wrong but an observation of the contrast they see, hear, and feel and then choose the perspective of the person they want to be. Before coming into this physicality the child knows what he or she wishes to experience and will choose the parents that will guide them in experiencing it. Motherhood makes one whole. As Heath Ledger put it, parenthood is an extension of oneself the knowledge that a small being was borne from the union of two people is a miraculous event; that one's blood runs through the veins of another. One's life changes immediately. However, even if you are not a mother by bearing another, you can still give those qualities to others and feel whole in yourself on a different level. Yes, it's all to do with the maternal instincts; you express this quite often Susan even though you are not an actual mother yourself. Are gay people negative or toxic because they express themselves different to ourselves? 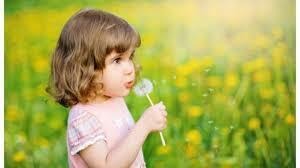 Are children toxic because they express themselves different to adults? Same thing in my mind. Once you embrace instead of avoid, you have become the maternal mother. I certainly appreciate your response here Susan, thank you. I give thanks to all the mothers within for your participation here, most appreciated, as I needed assistance in expressing deep seated maternal instincts over and above the controlling ways of the controlling ego. Indeed, save the children from realities of fear; realities and realizations primarily built around fear, of course most of this fear based conditioning is false. In recent years, we have had North Korea expand on it's military might, this has instilled fear within the children of today but deceptively so. How many countries have North Korea invaded or terrorised through bombing and other means? Now how many countries has the US backed coalition forces terrorised in this manner, and falsely so? Where are the weapons of mass destruction? To start with, this is deceptively and falsely instilling fear within the children; obviously this is OK to do as North Korea is an obvious bigger threat, even though North Korea isn't invading other countries to simply pilfer their resources. What are we doing? So one form of fear, based purely on deception, is OK but falsified forms of fear are far more threatening!! What kind of conditioning are we subjecting the children of today? Not a real threat but a falsified threat when the real creator of fear is the one falsifying and conditioning our children to fear. What are we teaching and conditioning our children to? That it's OK that the right country, as opposed to the wrong country, invades other countries to pilfer their resources. That falsification of fear based realizations is normal and should be accepted. That all fear purely based on deception is the right conditioning for our children. Let's perspectively look at how else we are conditioning our children to fear and be in fear. Modern day spiritually in the West is more based on fear today than it has ever been. How many people fear expressing the egotism or judgement? If we express the ego or judge, this makes us look bad in the eyes of other spiritually aware people, and/or, we can't be spiritually aware if we express ourselves in these ways. How many more negatives are there out there today? It would seem even the word balance or moderation is negative these days, of course to extremist ideologies this is going to naturally be the case. Positive has become extreme to negative, light has become extreme to dark and love has become extreme to hate an on and on it goes. What are we conditioning our children to today? The answer to this question is too obvious for people like me; it's all to do with control. What does a sense of control depict? Fear, fear of not having control or of losing control once we have it, and of course, one can never get enough control and empowerment. Is this like a multinational that can't get enough wealth and power, it's never enough? So if it feels good, it must be good so the more we feel good the better it is? We have completely based our whole existence on fear from the multinational point of view to spirituality. What are we instilling in our children? It would seem we completely don't care what we are conditioning our children to and if you do care, you are dark or negative and even toxic. The amount of times I have heard toxic expressed towards other people, especially from so called positive people and people of love and light, is astonishing. To judge anyone toxic is an expression that is purely based on fear, it's as simple as this. We first of all fear being toxic, then we avoid all people who we judge as toxic in fear of some of that toxicity rubbing off on us or we fear their presence. The fear of a toxic person having any control over us is huge these days. Consider this; would a truly humble person express this kind of fear? What would have occurred if people like Buddha or Jesus were instilled with this kind of fear? Poor and diseased people would become toxic to avoid at all costs, and for the Romans, we ignore them because they are so negative (dark) and Buddha certainly wouldn't have faced he's ego face on. So what is the answer, or more precisely, one of the answers? First of all, in my mind, there is never a single answer but multiple answers to a particular question or situation; it's that the ego can usually only comprehend one or two answers at best at a time. One of the answers is to teach the children humility; this simply means accepting the control from others while not belittling yourself to this control. Yes, this means accepting control from people we find negative or toxic, the trick is, never see these people being above or below yourself. This is simply obtained by desisting in the extreme expressions of what is and isn't negative or toxic, simply avoid all extreme expressions, not in fear but in awareness of what extreme expressions create. I hope the following furthermore helps in teaching our children humility. Extract: For example, you may have seen an athlete who scores a touchdown, drops the ball and goes down on his knees to give thanks for his achievement. Or another player who scores but then runs around the field pointing at himself and calling attention to his or her achievement. One of these people is being humble and grateful, while the other is being arrogant and boastful. I was recently presented with a person that is going through insurmountable trauma at present, part of the trauma brought about by external forces also includes their partner; this of course exasperates the trauma. By the sounds of it, my assistance is greatly assisting this person to cope better with this said trauma. When we seemingly have no control over these kinds of external influences, the ego goes into spasm, basically, the ego chucks a patty, meaning, the ego becomes infuriated. The ego simply has to have control, or more precisely, a sense of control even when the ego is never really in control itself, of course the ego denies it's never in control and this is the point. When the ego grasps a hold on a judged positive, as a sense of control is, it will deliberately stay ignorant to everything else. Positive thinking isn't just destructive to everything negative (dark), it's a high state of ignorance which can exasperate trauma to the extent of hate. How many people of positive thinking hate negative thinking (dark)? Of curse the ego in a false sense of control will categorically refute that it hates. Purposely going into a state of ignorance of something detestable is a form of hate to start with. This person I'm assisting at present isn't a naturally hating person but they mentioned hating someone, of course during our discussion, we found that this person didn't really hate which was a load off their mind to start with. Anger can lead to hate but anger within itself isn't of hate. At this point the ego is simply infuriated not being in control, only when the ego has no or little control can anger lead to hate. How many people hate being negative or of expressing the ego? It is obvious to people like me it's got to this point of hating, probably primarily due to our present reality being so hatful and destructive. When people like me express balance and moderation in these circumstances, we are often put down by people who are either of one or the other. The ego simply has to have or take control in these circumstances, any other way is simply deliberately ignored (refuted) or put down (degraded). Yes, people like me are hated for expressing balance and moderation; this has been too obvious from an ego trying to gain more and more control. This reminds me of religious fanatics and multinational who just simply can't get enough control. Any kind of detesting is a form of hate; this includes detesting not having or gaining more and more control and the detestation of negatives (darkness). What I have gone through in certain parts of my life would be judged by many positive thinking people and of love and light people of being negative (dark). If you simply have no awareness of one or the other, dark of the light, positive of the negative, how would you truthful be able to assist people in this kind of reality? By preaching and destroying everything not positive and of love and light!! How many people are trying to help other people by influencing others of their way of control while deliberately staying ignorant to what they detest themselves? Multinational detest being poor and not being in control. Religious fanatics, positive thinking people and people only of love and light are exactly the same, but their egos will tell them otherwise as always. If I didn't go through the life I did, would I have a right to even try to assist people in trauma? How many people on the net are doing just this? It's insurmountable while at the same time being deliberately ignorant to most of what is, even to balance and moderation. To live in ignorance of everything except of one idealism, isn't awareness and is certainly not of a true sense of positive being or of love and light, for there is simply no true sense of love and awareness in ignorance, especially when it's deliberate. I have spoken to a number of people on this. A pure sense of awareness is love and light, being that light and love is this pure awareness state, for example, Buddhism speaks of this pure awareness. You simply can't get into this state while detesting everything else not of this state, in any sense, for this pure aware state is not of a controlling ego that has to be in control in one way or another. As soon as the ego labels this state as love and/or light, it's of a controlling ego and of ignorance to everything that is not of itself. I often say to people to just walk away if any form of control is causing you trauma, of course the ego desires to anything but just simply walk away, it desires to take back control even to the point of hating. Hate and detesting anything gives the ego a sense of control when in actuality the ego is less in control. This person I am trying to assist now realises that any sense of hate or detestation is in actuality a loss of control. As I have said before, you need to use the ego against itself. Give the ego a sense of control but in a more truthful manner. How many multinationals are in control of their greed and power mongering? How many people of positive thinking and of love and light are truly in control when they are purposely existing in ignorance? It's impossible for any of these people to truthfully assist other people not of their own. Yes, they can deceptively influence people but not honestly because an ego that desires to take control is anything but truthful. This pure awareness state that seems like love and light to the ego is simply not about control, it's simply being that is everything of this awareness which of course includes an ego in control. Everything is because there is no control, only a false sense of control. To put it simply, I could not truthfully assist people in trauma if it wasn't for my own traumas in life and especially having an awareness of the controlling ways of the ego. You simply need to be aware while avoiding all extremes when applicable to truthfully assist other people.